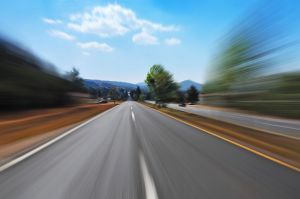 The National Highway Traffic Safety Administration is launching a Safe Summer Driving campaign aimed at reducing the number of serious and fatal accidents on the nation’s roads during the summer driving season. Our Boston injury lawyers encourage families to open a dialogue about the dangers of poor driving decisions, including speeding, drunk driving, distracted driving and other behavior that can lead to a serious or fatal Massachusetts car accident. Distracted Driving: As we continue to report, distracted driving is one of the leading causes of serious and fatal traffic accidents nationwide. The government estimates that 6,000 people are killed and more than 500,000 are seriously injured each year in driving accidents caused by distracted drivers. Drivers who text message or use cell phones while behind the wheel are at particularly high risk. Other forms of driver distraction include eating, grooming or applying makeup, talking to passengers or using in-car electronics like Mp3 players and GPS devices. Vehicle Maintenance: Many of us limit our winter driving to commuting to and from work or school. But the summer brings with it the chance to get out on the road. The increased travel brings with it an increased risk of an accident caused by a poorly maintained vehicle. Be sure to have your car serviced and pay particular attention to your tires. Hot summer roads can be extremely hard on old or worn tires. Click here for more information on tire safety. -Never leave a child unattended in or near a vehicle. Warm weather can quickly raise the temperature inside a vehicle to lethal levels. Pay particular attention to where children are at when moving or backing a vehicle. -Use appropriate safety seats and child restraints. For more information, visit www.safecar.gov. -Avoid fatigue and stress by getting plenty of rest and ensuring that you leave in plenty of time to safely reach your destination. -Have your vehicle serviced and pay particular attention to tire wear and fluid levels.